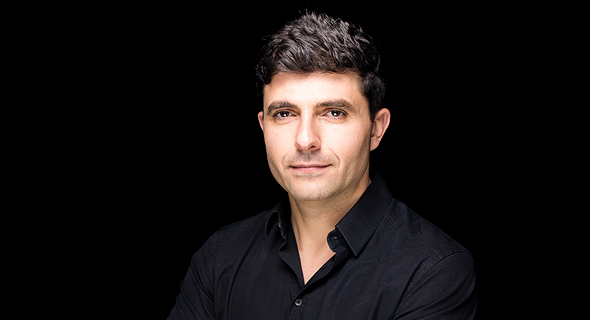 Gett will be the first and only ride-hailing company to reach profitability in 2019, Gett co-founder and CEO Shahar Waiser told Calcalist in an August interview. The claim must be taken with a grain of salt—not just because Gett is currently involved in markets where it already has a relatively stable foothold, but also because of the way Waiser defines profitability, separating operational costs from research and development. Currently operating in around 120 cities across Israel, Russia, the U.K., as well as New York City, Israeli Gett was part of the first wave of on-demand mobility companies. But while it came to dominate the smallish Israeli market, it has seen some global competitors, including Lyft, and Didi Chuxing, attain much higher valuations and raise much greater sums. In June, the company announced an $80 million funding round led by existing investor Volkswagen, projecting at the time it that will reach operational profitability in the first quarter of 2019. Gett’s overall equity funding stands at $700 million, a sum dwarfed by the funding raised by some of its competitors. Accordingly, Waiser touts the company’s margins. Competitors, he said, “can be unprofitable for a very long time, and investors will forgive it and provide more capital.” The dominant 43 years-old CEO is a serial entrepreneur. He previously founded Infoauto, an information system for used cars and real estate in Israel, and Loyalize, which provided white-label services for brands and content providers. According to Waiser, he came up with the idea for Gett, originally Gett Taxi, in 2009 after ordering a taxi that didn't arrive. “Part of our vision is to build not just a global company, but a profitable global company," Waiser said. That profitability, at least in the near future, does not take into account expenditures on research and development. The company's Israeli center, which provides software services to Gett's global operations, is not part of the Gett's business operations and thus will not be considered in the calculations, he added.